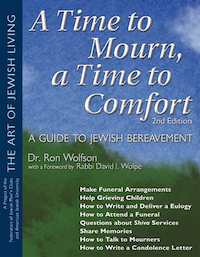 Dr. Ron Wolfson | A Time To Mourn, a Time To Comfort, 2nd Ed. When someone dies, there are so many questions—from what to do in the moment of grief, to dealing with the practical details of the funeral, to spiritual concerns about the meaning of life and death. 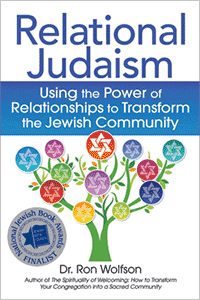 This indispensable guide to Jewish mourning and comfort provides traditional and modern insights into every aspect of loss. In a new, easy-to-use format, this classic resource is full of wise advice to help you cope with death and comfort others when they are bereaved.